Kashmir Deluxe tour package starts from Srinagar includes one day tour of Gulmarg, Pahalgam, Sonamarg, two days tour of Srinagar city. Arrival from Srinagar Airport, After Refresh go For Shikara Ride. The Dal is famous not only for its beauty, but for its vibrancies, because it sustains within its periphery, a life that is unique anywhere in the world. The houseboat and Shikara communities have lived for centuries on the Dal, and so complete is their infrastructure on the lake, that they seldom have to step on land! Doctors, tailors, and bakers - you'll see them all in tiny wooden shops on the lake, overnight at Houseboats. Local sightseeing at Srinagar Today we will do some half a day of Local Sightseeing of famous Mughal Gardens With terraced lawns, cascading fountains, paint-box-bright flowerbeds with the panorama of the Dal in front of them - the three Mughal Gardens of Chesmashahi, Nishat and Shalimar are the Mughal Emperors' concept of paradise and are today very popular places for picnics and excursions. In the Afternoon visit Jamia Masjid, Hazratbal Shrine and Shankaracharya Temple. Overnight at Hotel. After breakfast in the morning, we will begin our country side day trip towards Gulmarg. Enjoy the Gondola (Cable car) ride which is highest in Asia. It has 2 phases.The first stage transfers from the Gulmarg resort at 2,600 m (8,530 ft) to Kongdoori Station in the bowl-shaped Kongdori valley. The second stage of the ropeway, which has 36 cabins and 18 towers, takes skiers to a height of 3,747 m (12,293 ft) on Kongdoori Mountain, a shoulder of nearby Afarwat Peak (4,200 m(13,780 ft)). 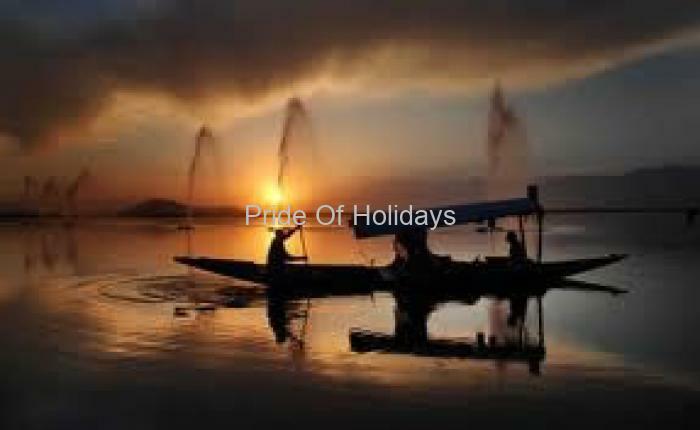 In the evening we will drive back to Srinagar where we can take a walk along the banks of the Dal Lake or simply rest in the cosy rooms of our hotel. Dinner and Overnight in hotel. After Early, Breakfast proceed for day trip towards Pahalgam. 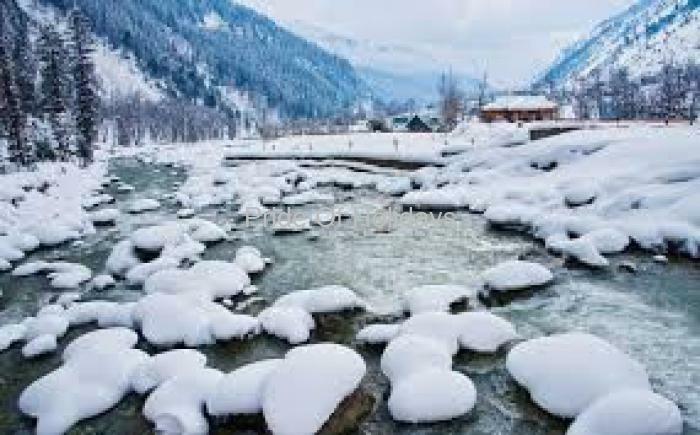 On the way visit Saffron fields of Pampore , Awantipura ruins and Mattan temple, Finaly reach Pahalgam, one of the beautiful and fascinating ideal resorts all the year round. 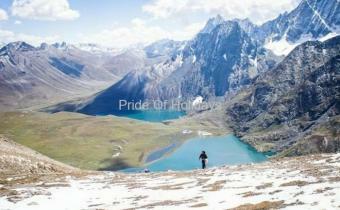 It is the base for several treks in the region. Situated at the confluence of the Lidder River and set amidst fir and pine covered mountains, one can have a real feelings of Paradise. You can trek or hire ponies to the meadow at Baisaran (5 km) you can also hire local car and visit Aru , Chandanwari and Betab Valley. After sightseeing around the mountain valley for most of the day, we will drive back to Srinagar and transfer to the hotel for our overnight stay. Depature Tour Endss Check out From Hotel and drive to Airport (45 mins) for return Journey. Guests are advised to reach Airport 2 hrs before the departure time. 01 Night at Deluxe Houseboat. 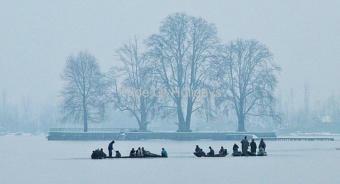 04 Nights at Srinagar Hotel. Any cost arising due to natural calamities like, landslides, roadblocks etc (to be borne by the clients directly on the sport.). 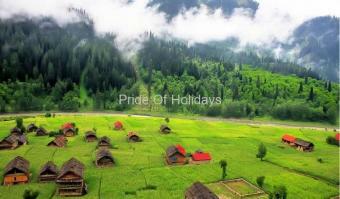 Explore Kashmir with Pride of Holidays. 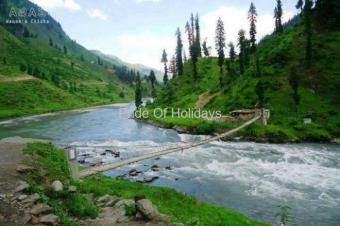 Number one tour and travel portal in Jammu and Kashmir. get best deals on Kashmir Destination tours, we provide destination tour packages to Jammu, Katra, Patnitop, Srinagar, Pahalgam, Sonmarag, Gulmarg, Leh, Ladakh, Shimla, Manali and other tourism destination Jammu Kashmir and Ladakh, from all sates of India you can book Kashmir Holiday Tour Packages from Delhi, Mumbai, Hayderabad, Westbengal and other sates of India at very affordable prices our Kashmir tour packages start for Rs.6700 onward.